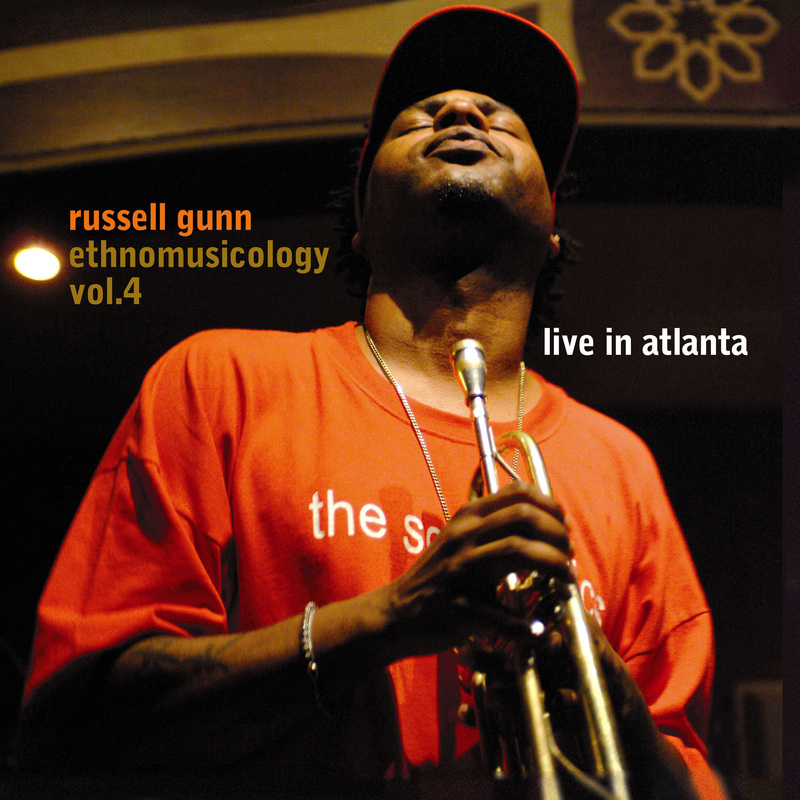 Russell Gunn's Ethnomusicology Vol. 4: Live in Atlanta (Justin Time) finds the trumpeter on his home turf, getting loose with the core lineup from Volume 3: Nick Rolfe on piano and keys, Carlos Henderson on electric bass, Carl Burnett on guitar, Kahlil Kwame Bell on percussion, Rocky Bryant on drums and DJ Neil Armstrong on turntables. This will be the last in Gunn's jazz-hop/jazztronica series, and the live setting allows him to showcase the concept at its interactive best. From the outset in 1999, Ethnomusicology has touched on a wide (and at times uneasy) array of influences, from jazz and hip-hop to go-go, big-city blues and even flat-out rock. Most of it is present here. Highlights include Burnett's guitar heroics on "More Sybil's Blues," Rolfe's acoustic piano break on "Summertime," Gunn's processed trumpet on the neosoul ballad "Lyne's Joint," Bryant's unfaltering pocket on "Shiva the Destroyer," the opening drum-n-bass-tinged "Blue in Green" and everything in between. At its best, Gunn's electrified horn is not just an au courant move, but a new instrument with its own expressive character.